With a net worth of around $1.3 billion and a philanthropic foundation that’s been around since the early 1990s, Sidney Kimmel is a familiar name to nonprofit leaders in Philadelphia. The media mogul who made his fortune in the fashion industry is best known for his dedication to cancer research and support for Jewish causes. But he was born and raised in Philadelphia, and maintains a strong relationship with his hometown today. He’s given away more than half of his assets to charity, and at 91, shows no signs of slowing down his giving. In the past, IP reported on Kimmel’s big gifts for cancer research, medicine, and the Jewish community. Here, we look specifically at how the Sidney Kimmel Foundation gives locally in Philadelphia and what types of organizations he prioritizes. Not only does the Kimmel Foundation give big in terms of grant size, but it also gives to big-name and well-known institutions around the city of Philadelphia. 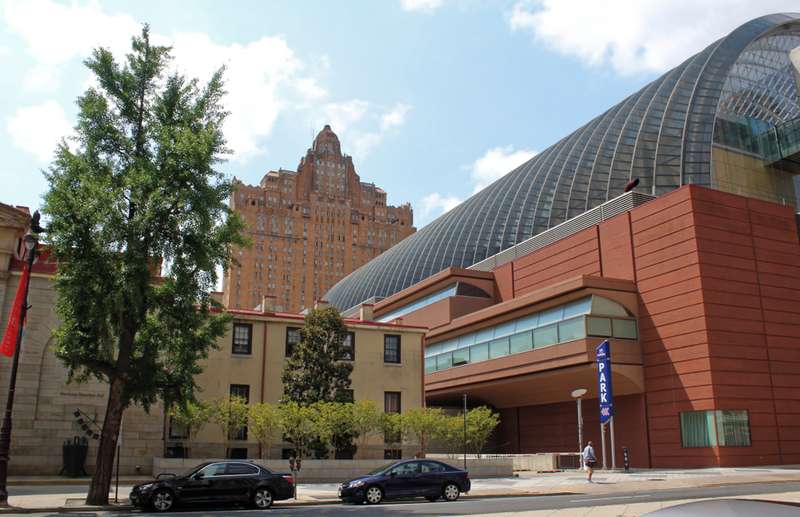 Local grantees include the Kimmel Center for the Performing Arts, which received a $63 million gift, and the National Constitution Center, which received $7 million. Meanwhile, Thomas Jefferson University’s medical college received $110 million from Kimmel, and the university took in $2.5 million of Kimmel funds to establish a preventative cardiology lab. But the Kimmel Foundation’s penchant for big gifts means it’s not necessarily the right funder for small, low-budget, or under-the-radar nonprofits in Philly. As you can see from the examples above, there are some definite overlaps in Sidney Kimmel’s giving. Even Philadelphia-focused grants tend to touch on the issues of medicine and cancer, or have some Jewish affiliation. This is a funder with very well-defined interests, so it doesn’t make much sense for local organizations to apply for funding if their needs aren’t connected with other Kimmel interests, as well. Although Kimmel is best known for multi-million-dollar gifts, his foundation also awards a good number of grants in the $1,000 to $10,000 range each year. For example, in a recent year, the Kimmel Foundation gave smaller grants to the Greater Philadelphia Film Office, Curtis Institute of Music, and the Broadcast Pioneers of Philadelphia. Unfortunately for grantseekers in Philadelphia, the Kimmel Foundation does not accept unsolicited applications for funding. This goes for nonprofits of all shapes and sizes around town, and even beyond the city’s borders. The foundation provides contact information on its website for those with general questions, but it does not want to receive pitches or applications without an invitation. Learn more about Kimmel’s local commitments in IP’s full profile of the Sidney Kimmel Foundation in our Philadelphia Funders Guide.